All professionals at Summerwood Pediatrics maintain the highest levels of accreditation and pursue ongoing education to stay abreast of the latest trends in the medical field. Read on to learn more about our staff's experience and training. He completed a residency in Pediatrics and fellowships in Pediatric Hematology/Oncology and in Blood Banking/Transfusion Medicine, all at University Hospital in Syracuse. Dr. Dracker later obtained a Master's degree in Health Services Management (MHA) from the New School for Social Research and most recently an MBA from Columbia College in 2007. He is board certified in Pediatrics, Transfusion Medicine, and as a Certified Physician Investigator. Dr. Dracker is also certified in Managed Care Medicine and in Quality Assurance and Utilization Review, with sub board certification in managed care review. Dr. Dracker was the President of the Onondaga County Medical Society from November 2009 through November 2010. He is also the Chief of Pediatrics at University Hospital at Community General in Syracuse. Dr. Dracker served as Medical Director of the Transfusion Medicine Service at University Hospital for five years prior to his current position as founder and Medical Director of Summerwood Pediatrics (previously known as North Area Pediatrics) since 1993, with offices in Liverpool and Camillus. He also founded Infusacare Medical Services, which provides adult and pediatric patients with currently standard and emerging outpatient intravenous therapies. Dr. Dracker has been actively involved in the area of cord blood banking and stem cell transplant. 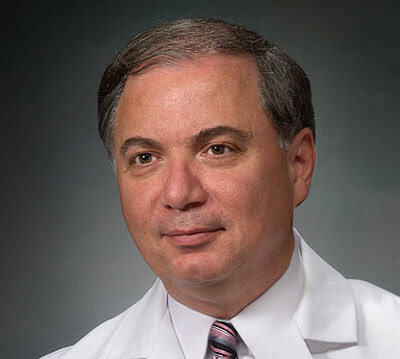 He was the medical director of The Biocyte Corporation, which facilitated the first cord blood transplant in the United States, and was the Medical Director of ViaCord in Cambridge, Massachusetts, up until May of 2007. He is currently the Executive Medical Director of Americord, based in New York City. Dr. Dracker served on the NYS Governor's Council for Blood and Transfusion Services for 17 years and has been the Chairperson and now member of the Hematopoietic Progenitor Cell Committee for the New York State Department of Health, as well as the Co-Chairman of the Heart, Lung and Cancer Committee for the Medical Society of the State of New York. He is also a member of the Pediatric Advisory Committee of the FDA. Dr. Dracker serves on a number professional and charitable boards and has presented worldwide on many topics regarding pharmaceutical parental therapies, clinical research and a variety of pediatric policies and stem cell therapy. He is actively involved in ongoing basic science and clinical research, particularly involving vaccine therapies, and has well over 50 abstract and article publications.